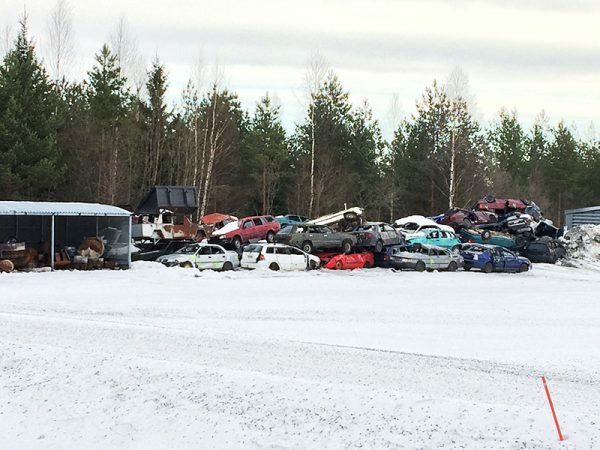 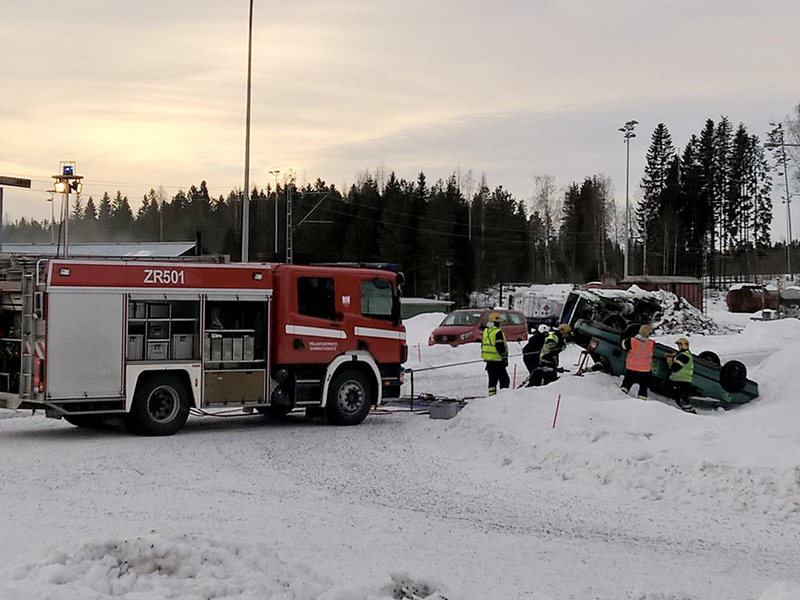 Emergency Services College of Finland organises yearly a large scale rescue management exercise called KriSu (Crisis and large scale emergencies Exercise). This year the exercise was arranged 13-15 February. 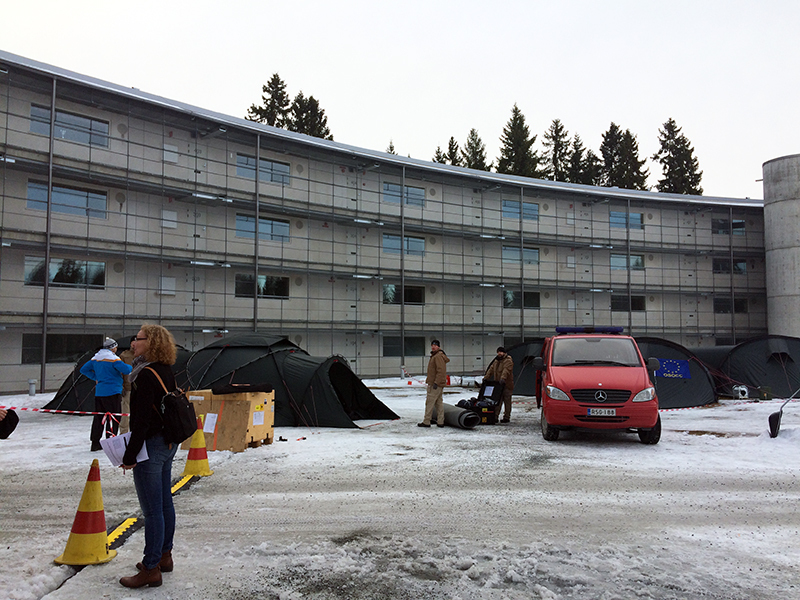 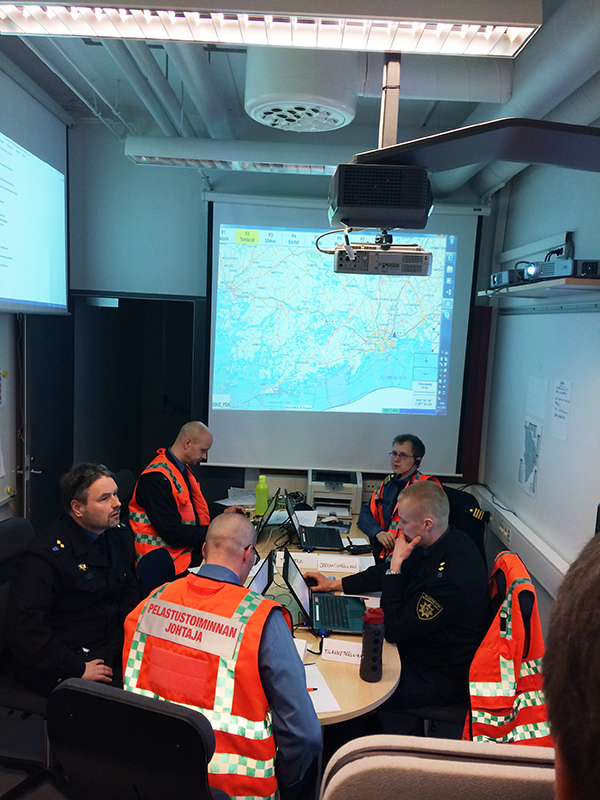 HAZARD project partners and associated partners had the possibility to observe the exercise in Kuopio and in Turku. 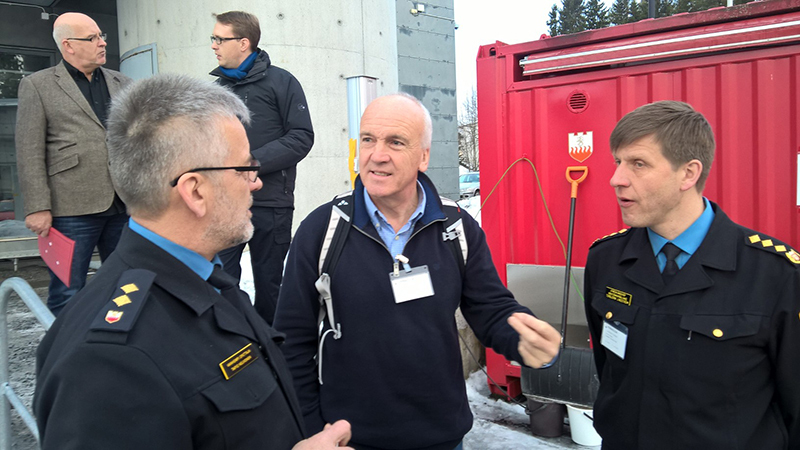 The exercise tests the management preparedness and co-operation of authorities in a major incident or crisis situation. KriSu is part of the Emergency Services College’s rescue management studies, but in addition to the management students, also a large number of authorities take part in the exercise. The purpose of the exercise is to deepen competence in management systems and in a wide range of management-related practices in different levels of management. 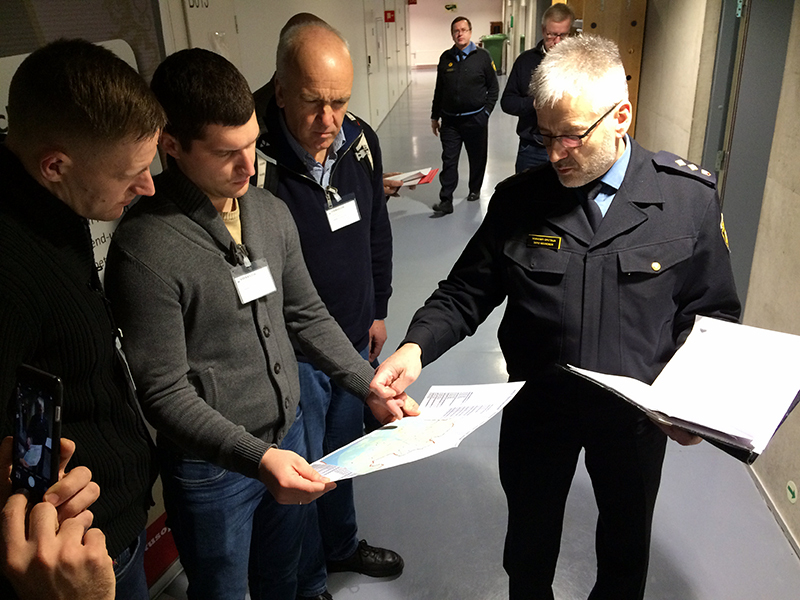 The exercise covers the entire rescue operations chain from being notified of an emergency to accident reporting. 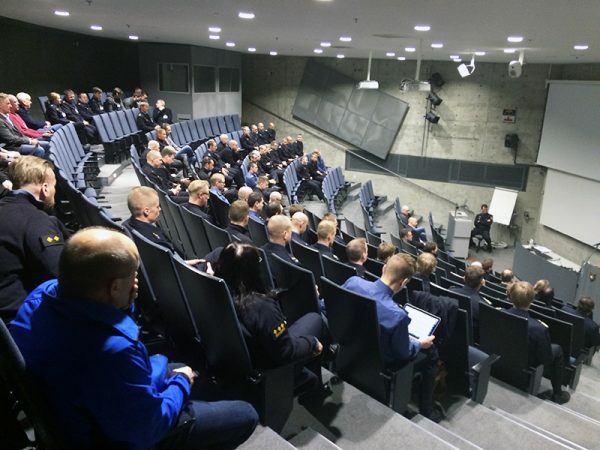 The exercise focuses on the cooperation between authorities and the aim is to practice cooperation with all authorities, communication and organization in case of a major accident. One of the objectives is also to train decision making while tired. The exercise lasts several days and provides participants with experience on working while tired in situations that require taking demanding decisions. 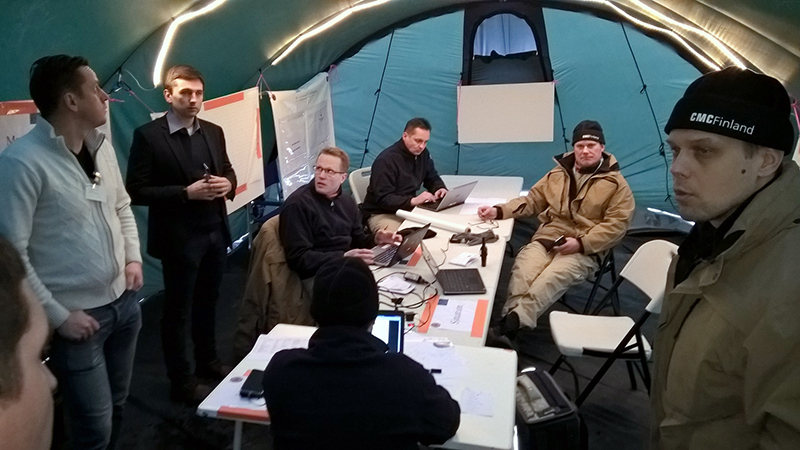 During the two exercise days the participants faced storm and major flood, which then caused a large number of different incidents, i.e. 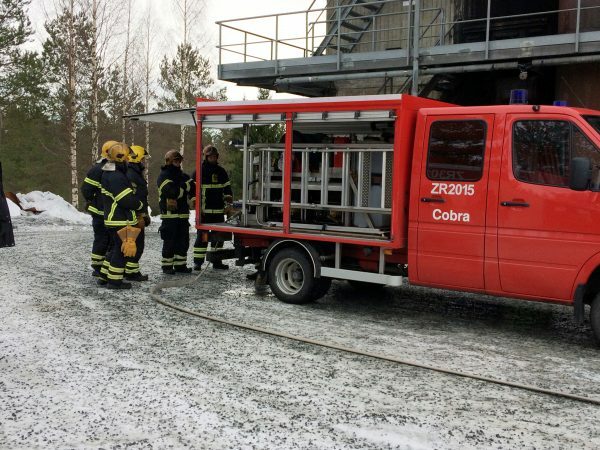 shipping and aviation accidents and hazardous material and oil spill accidents. 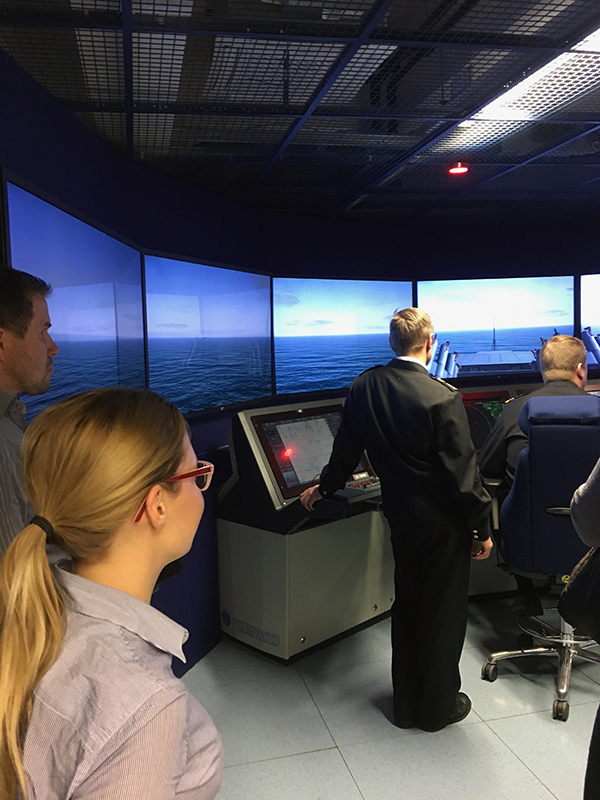 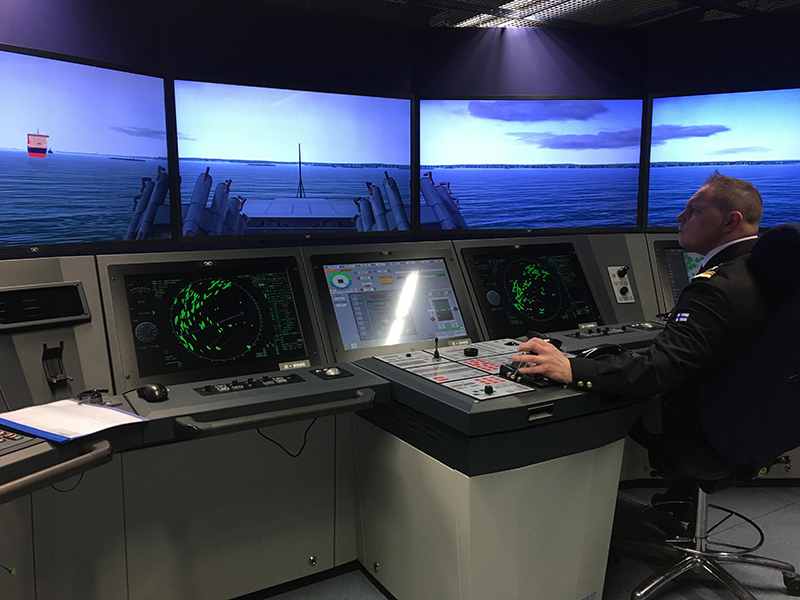 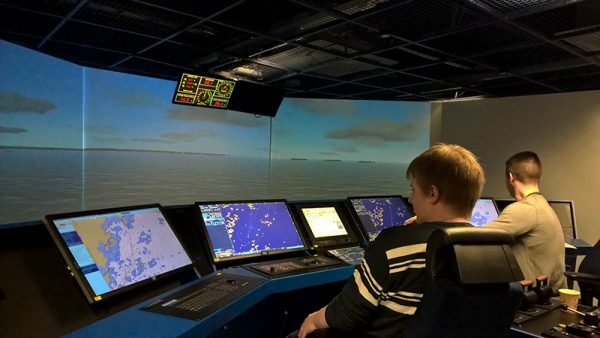 Part of the exercise was held in the premises of the maritime college Aboa Mare in Turku, where their simulator equipment were used in accidents at sea, like explosion on board and collision between two vessels. 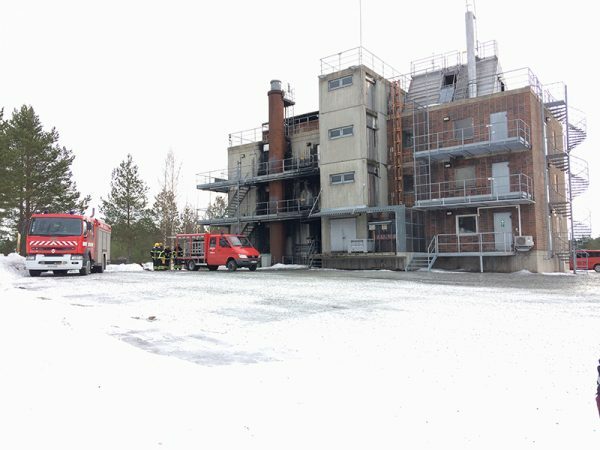 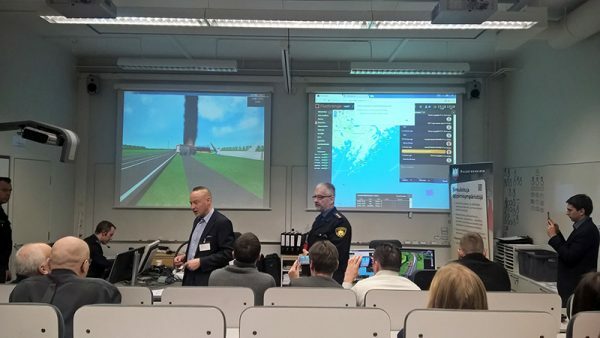 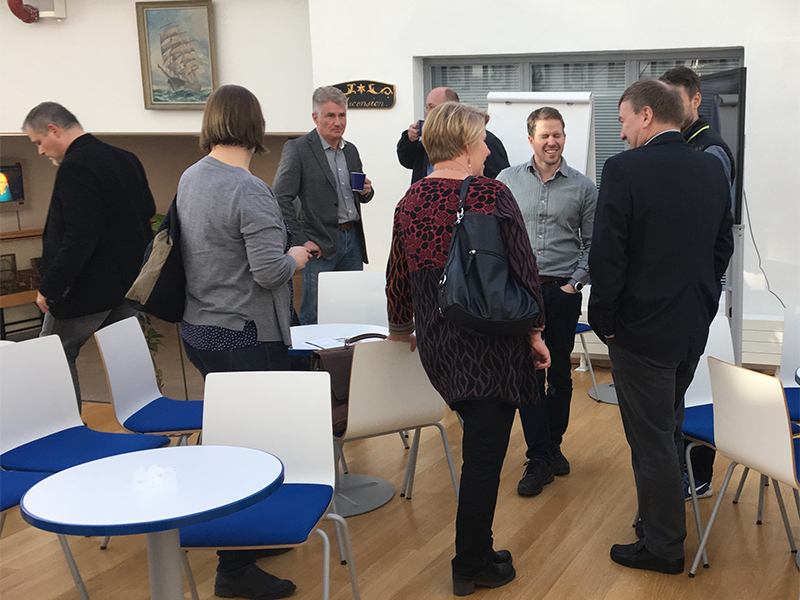 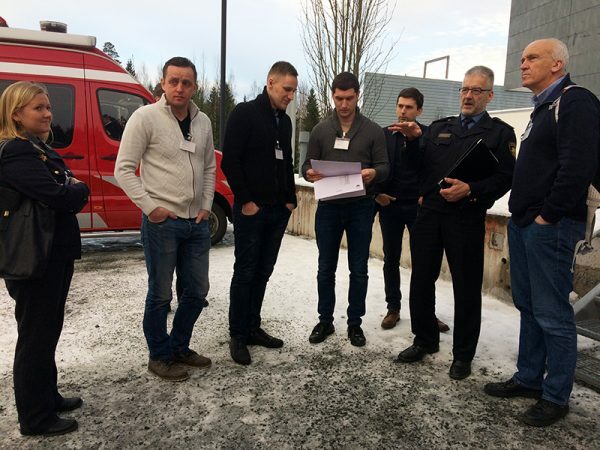 The participants located in the Emergency Services College in Kuopio will took part in the exercise via internet and VPN connection. It was very interesting to see how this large exercise was carried out. The rescue service partners could also share ideas and thoughts of how to arrange similar exercises in their countries. The HAZARD team also had the change to visit the training ground of the Emergency Service College. The training ground was quite impressive, a large area where different sort of accidents could be practiced. 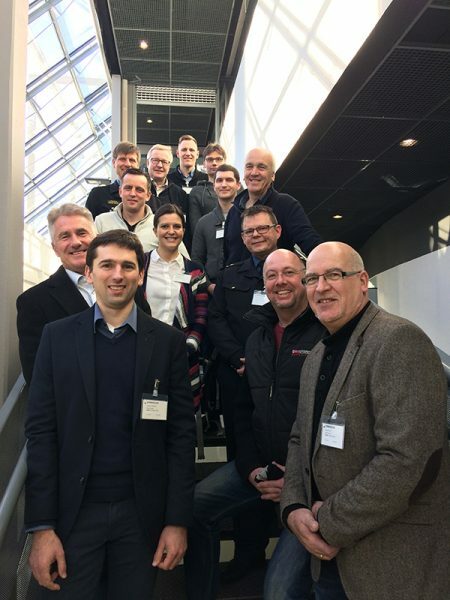 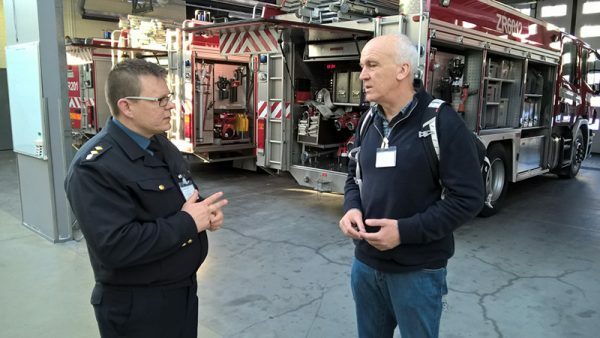 The delegate in Kuopio consisted of representatives from the Southwest Finland Emergency Services, Hamburg Fire and Rescue Service, Fire and Rescue Board of Klaipeda County, the Federation of the European Union Fire Officer Associations and the University of Turku. 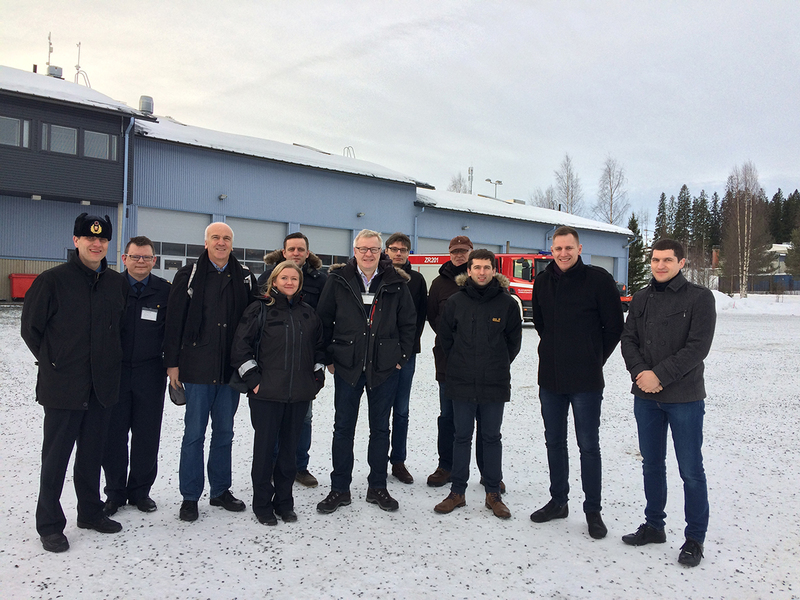 The HAZARD team in Kuopio.